Oxygen – Shocking sale for Oxygen until the 31st of July! Freeway – Freeway title their sale as a mid-year sale starting July 1 up to 70% off on selected items. DC – DC once a year sale is on! Sale up to 30% off, selected items only till supplies last. Available at DC Stores, Res|Toe|Run stores, Shoe Salon and etc. Grab your footwear and gear for extreme sports like skateboarding and snowboarding only here in DC! Geox – For sporty girls out there, Geox gives us discounts starting from June 29 – July 31, 2012. Charles and Keith – tagged as one of the most marketable ladies fashion footwear is bringing us a 50% off not only here in Philippines but in other countries as well like Singapore, Indonesia and etc. Michael Antonio – Every “It Girl” would not want to miss this 20%, 50%, 70% sale of ultimate footwear of ramp models in United States! Comfit – make your feet comfortable by wearing Comfit and now it is still on sale whether your budget is below P599, P699 and P799. Marks and Spencer – Marks and Spencer holds a year-end season sale up to 50% off. Promod – these French ladies’ wear lines also offers an end of season sale with enormous 70% discounts. Zara – Armancio Ortega, the owner of Zara, the fifth richest person in the world also gives us an end of season sale. Yves Rocher – dolling is not complete without make ups so here’s Yves Rocher, a leading French cosmetics and personal care, giving you a sale from July 9 – July 31, 2012 which gives us up to 50% off. Yves Rocher will also open at TriNoma soon. Etude House – A Korean cosmetic store endorse by our dear Sandara Park. 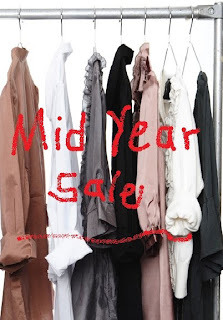 They offer a mid-year sale where their promo runs from June 12 – Sept 11, 2012, 30% off on selected items. Now that I broadcast the boutiques that the whopping discounts are still on, why delay some actions? Shop Til You Drop! This entry was posted in Promos and Treats and tagged boutiques promos and sale 2012, Freeway sale, Mall Boutique mid-year sale, Mossimo mid year sale 2012, Oxygen sale mid year sale, penshoppe sale, Schedule of boutique sale 2012. Bookmark the permalink. I love geox! Expensive nga lang! Sana cool un items! I used to buy branded clothes when I am still unwed but now I need to be thrifty. Great offers, I wanna check this out. I love Freeway. I’m excited to shop there on August since I have a privilege card which entitles me to a 20% discount because it’s my birth month.